Re: A love to change the History books chapter 3 1/1/13 HAPPY NEW YEAR !! I hope this year is better than the last may all your wrongs be forgotten and all your rights remembered. May all your wishes come true and may fortune shine on you and your love ones. yup, i managed to break out from my hermit shell to share my fictions?! even i admit sometime they are not quite interesting for reading. and lastly, i hope everyone here to have a fruitful and smooth year in 2013.
please do it sooner... it is really quite tedious as a process to rewrite the whole thing. i kinda caught up for a time being so please continue to write even that i won't appear to leave my comments but i will try to read whenever i am free and able to and maybe leave you a subtle comment when i am able to. sorry to break such a subtle new to you. 2) Does Yuko-sama have anyone she is paired with ??? 3) Does Goto-sama have anyone she is paired with or is she a lone wolf ??? and lastly what are the popular couples in H!P and who are they made up of ????? Thanks for reading the questions and hopefully answering them thanks!! 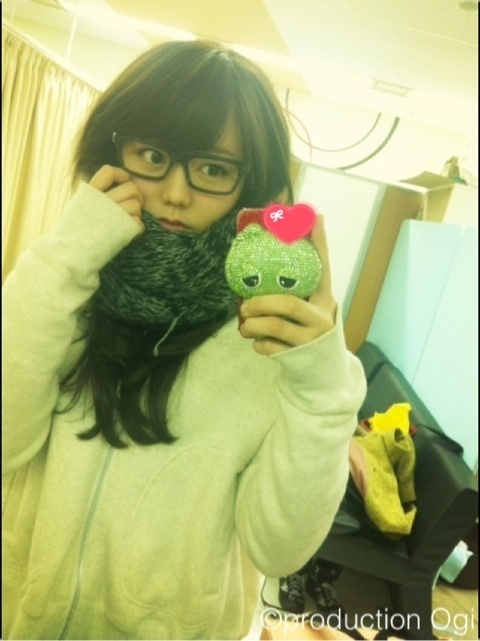 Our eririn is an easy going person, but some of the popular pairings on her are TanaKame, KameShige, GakiKame or AiEri. For your story, if you stick to your original setting where TanaKame are sibling, then you are left with the other 3. Gocchin, you can pair her up with Nacci, Mikitty, Charmy or Yoshi. Ai or Reina also can. Or Konkon also can. Okay so after a lot of thinking ive decided to carry on the fic the way ive already began since i honestly think it would be confusing for you the readers and for me if i re writ it so im just going to wing it lol so i will update soon. This is the famous picture of Tanaka Reina and Michishige Sayumi when Reina was almost kidnapped lucky Michishige Sayumi managed to stop the english kidnapper. Michishige Sayumi was a servant in the castle who also happaned to Tanaka Reina's personal one its said that Reina was very fond of Sayumi. This theory of her being fond of Sayumi was then proven when a rumor was then spread around China saying that the pair were in a relastionship and a public appearance was then made confirming the rumor. The couple was loved by the people and ruled China like no one had done before them. WHAT OOOOOOOHHHHHHHHH NOOOO I DONT THINK SO! THERE IS NO WAY I WOULD FALL INLOVE WITH SOMEONE LIKE THAT! MORE IMPORTANTLY WHY DIDNT I GO BACK TO MY OWN TIME! WHY AM I IN THE HISTORY BOOKS?! Never mind mabye I shoudnt be focusing on that mabye I should focus more on the fact im apparently getting married to the chipmunk Tanaka Reina! In what world do we suit!? I mean come on im cute she is well ....... she is her. Sorry just well her appearance is better than her annoying personality. You could say she is an angel on the outside and a devil on the in. Well thats what I think. I tore the page out of the history book and thrown it to the otherside of the room into a corner where no one would be able to see it. "Erm whats wrong?" Oh thats right someone else is here what was her name again Yessie no humph erm ....... Yoyo nope close but no ahhh Yossi thats right. "Nothing is wrong." I answered as sweet as possible facing her and showing the worlds fakest smile. "Ahhhh just making sure oh the others will be here soon I suggest you do whatever you need to do now rather than later since the others dont really get personal bubbles." She suggested then turned around and continued with whatever she was doing before hand. Then something in my bag caught my eye. A red light was flashing over and over again. What could that be? I placed the history book on the floor the rummage through my bag until I found the object that was flashing. I pulled it out to be met with the sight of my phone. Ahh I forgot all about this! Mabye I can contact my mothers. I quickly flipped my phone open to reveal its screen which had the background of me and mothers together on our holiday to Thailand from a year ago. Unconsciously I smiled at the sight and stroked the screen with my thumb. I miss them I truely do I wish they were here. I looked at the side of the screen to see if there was signal and of course as luck would have it I didnt. I sighed and switched the useless stupid thing off and dropped it in my bag. Who thought phones would be this useless. "Ahhh why was it so hard today?!" I heard someone whine from outside. "You think thats bad Lady Tanaka Reina has been in and out of the scullery since she came back from outside the castle Lady Junjun told her not to leave her room yet she cant even do that!" Another complained ahahah of course baka Reina would do that I bet she just wants attention. "Its because she is a little brat so spoiled thinking she can get away with anything." The door to the shed opened as another female voice began speaking. "Ahhhh mabye but Lady Eri is so much nicer I gusse thats why she is the favoured daughter and why she gets to address Lady Junjun as mummy." "I know right she is spoiled just as much as what Lady Tanaka was when she was younger yet she is the one the treats us like we are her family even though we have all been looking after that brat Lady Tanaka since she was small." "She is ungrateful what can you do lets just hope she leaves us alone for a while." I stopped listening to them after that as their conversation seemed to drift off into argument somehow. I shook my head what idiots. I throw my bag to the side of the rug that was now my bed and lay down so I was now looking at the ceiling. "Hey new girl where are you from?" I heard someone question I replied saying "Japan." earning little gasps from those in the room. I looked quizkly at the ceiling wondering why they all gasped until the smallest one shouted. "Ahhhh your just like us then!" I shot up and faced her my eyes wide. "Your from Japan then why are you here?" I asked actually interested in the coversation. "Hmmm all our familys came here you could say that each of our families owe a debt to their family and thats why we are all here." The tallest answered as she ripped a small loaf of bread in half and passed it to the girl beside her. "No way." Was all I could say "What about you why are you here?" they questioned. "I didnt come here by choice im from the future." When I said that silence filled the air then within in seconds laughter was heard coming from everyone but me. "Ahahahahahahaha nice one Michishige-san we needed that." "Aish whatever dont believe me." I quickly layed down again and faced the wall closing my eyes hoping that everything was just one bad dream. "She is at work she will be home soon." "Yup and she even has a suprise for you!" "Ahh really what is it what is it?" "You have to wait okay little bunny?" The door to the house opened revealing a very exhausted looking Takahashi Ai. Mother kneeled down on the floor as I ran to her engulfing her into a hug since I missed her so much. "Did Mama tell you we have a suprise for you?" I nodded into her chest since I was still in the hug. "Good come on follow us." The two of us pulled away from the hug then mother picked me up and carried my like a bride causing me to giggle. "Is this how you carried Mama into the house when you got married?" I asked. "Our bunny is right isnt she honey?" Mother asked smiling when she caught sight of Mama who was waiting in there room sitting patiently on the bed. "Our bunny is right yes ahahaha come on lets show her the suprise." Mama said getting up and standing on the bed jumping up and down on the bed like a child. "Yah im ment to be the kid in our relationship!" My Mother shouted plafully placing me on the bed the climbing on it herself jumping up and down with my Mama. Seconds past no minutes no hours passed and we were still jumping on the bed laughing and playing. Im so lucky to have these people as my parents. "Oh the suprise thats right!" My Mama scream suprising me and mother. "I think you just gave her a suprise with how loud your voice was then." My mother replied showing a playfull grin that turned quickly into a pout as Mama flicked her on the forehead. Not being able to bare the sight of Mother pouting playfull or not Mama quickly kissed it away with a little peck on the lips. "What about me?" I question pointing at myself copying my mothers action of pouting. The pair smiled at eachother then bent down to my height. "And two for our bunny." The said in unison each kissing me each of my cheeks. I grinned and sat down on the bed crossing my legs then excalmied "Suprise please!" the two of them giggled then nodded jumping down from the bed and looking into Mothers wardrobe. After minutes of searching the couple pulled out a pink top with a cute bunny on it that said with a speech bubble by its mouth usa-chan peace! I screamed and jumped from the bed taking it from my parents hands and quickly putting it on over the top I was wearing. "We love you two bunny." Re: A love to change the History books chapter 4 11/1/13 UPDATED!!! sorry for the late comment, had been busy with my school work. Become AKB fan after watching AKB0048. Favorite pair : TakaAstu, Mayukirin, KumiYuria, Wmatsui, JirinaMayu etc. wells... last time is a sad one, now is a happy one. robyn, you really brighten up my mood after a long tiring day outside. "Wake up its time for you to go wake Lady Tanaka." "If you dont I will use water." "Go ahead I dare you." "1.......2........3........4...........5 okay Kanon do it." "AHHHHHHHH!" I screamed why those little brats im going to kill them. I sprang from the rug ad sent a deathly glare to everyone instantly making the soul freeze. "You have three seconds to run anyone who was involved in this before I kill you one ......(Tsuji ran out of the shed) two ......(Kanon hid under the table) three!" I shouted marching over to where the youngest was hid shivering with fear under the table that had bread and milk ontop. I bent down the dragged Kanon from under the table into everyones view. "Say sorry." I demanded my hands clenched tightly around the collar of her top. "S sssorry Michishige-san." She said stuttering trying not to look me directly in the eyes. "Consider this a warning do it again and you will have to sleep with one of your pretty little eyes open now where is Tsuji-san?" I questioned realising my grip on the terrified Kanon. "She ran outside I think she went to the stable." Yaguchi replied "Oh by the way what time is it?" I asked when I noticed it was still quite dark outside. "Its 5am you need to wake Lady Tanaka up at 6am the latest." Nakazawa -san answered as she walked outside muttering something about how she is getting old. I shook my head I have never been awake this early before in my life other than the time Mother and Mama were ill when I was younger and I tried to look after them and well not much to say there other than I failed ....... miserably. Lets get that brat Tsuji. I quickly changed and charged out of the shed to where Yaguchi had told me the elder girl would be cowering in fear. As soon as I got there I heard a russle in the hay stack right next to me. The girl isnt good at hiding huh. "Ahhh I wonder where Tsuji-san could be hiding hmmm mabye outside......" And just like that I heard ssexy beasting and then pop she burst out from behind the hay stack. "Got you!" I screamed pulling her towards me then dragging her to where the horses had releaved themselves. Then ....... squash! Thats right I thrown the brat into the horses waste. "Ahhhhhhh ahhhhhhh ahhhhhhhhh ahhhhhhhhhhhh im sorry im sorry im sorry im sorry I wont ever do anything to you again!" She shouted jumping out of the waste and getting on her knees. "As long as you have learnt your lesson where is Lady Tanaka's room?" I inquired walking away. "Go into the castles up the steps on your right go straight then its your first door on the left." She answered wiping horse waste from her face. I went to the castle and followed the directions perfectly from what Tsuji-san had told me. I knocked on the door then hearing no answer opened the door to see a very tired kitty girl snuggled into her bed with the cutest expression on her face. Unwillingly I advanced towards her bed and tried shaking her awake but that didnt work. And so not thinking of anything else that could wake her up I came to a last resort. 1...2...3.....flick. "OUCH WHAT THE HELL MICHISHIGE!" "Yup god calm down your giving me a headache." She glared at me the got out of her bed though she done it as slow as possible as if trying to saviour the warmth and comfort of her bed. I chuckled only to get another glare shot at my direction causing me to put my hands up in the air like the police had told me to freeze or something like that. "Wait outside." She ordered. I nodded my head and left the room. Twenty minutes later she came out of her room dressed in a long red and black dress that puffed out at the waist fashioned with a black necklace. Her hair straight falling down past her shoulders slightly curley at the ends. She looked wow. "I have to see my sister then we have to go see my mother okay?" She asked "Whatever its not like I have a choice not to go with you right?" I replied earning a smirk from the latter as if to say you-got-that-right-dont-forget-it. I followed her to her sisters room. She opened the door without knocking then strolled in side. "come on." She said motioning for me to enter as well. I went into the room carefully because I thought she was going to do something to me only causing her to laugh. She went over to Eri and shook her awake. The girl yawned cutely then streched her arms wide. Seeing her sister she smiled and jumped on her giving her a giant hug. Then with that I heard the greatest sound in my life her laugh her genuine laugh. Just like that I felt my body numb and my stomach flutter. "Sayu!" Eri exclamied breaking me out of my froozen state. I stood back a little from shock then smiled at the girl that was smiling at me still in her sisters embrace. "Play with me Reina please." She begged putting her head in to the crook of Reina's I mean Lady Tanaka's neck. "Hmmmmmm (Eri pouted) ........ I dunno (Eri had tears in her eyes) ......... okay but tommorow I have things to do today okay." Said Lady Tanaka patting her sister on the head and in reply Eri nodded her head anxiously. "And Sayu can play with us too rigth?" She asked smiling cutely. "Anything for you." Answered Lady Tanaka to my suprise. "Get changed Lady Linlin wants to see you today." Ordered Lady Tanaka. "Why are you calling mother lady Linlin Reina?" "You will find out when you are older." With that said Reina stood up and exited the room stopping outside waiting for me to follow. "Bye Reina bye Sayu!" Shouted Eri waving at us. I smiled at her then followed Lady Tanaka out of the room. "To the throne room." She said quietly as if dreeding what was going to happen next. I didnt question it and went to the throne room with her. We got to the throne room and there was Lady Junjun sat smuggly on her throne on her left was an empty seat for im gusseing her wife or something. Then on her right stood a girl with brown her put into a pony tail. The sight of Lady Tanaka making the pair smile. I glanced at Lady Tanaka's face to see it with no emotion at all. "Reina meet your future wife." "Hello im Goto Maki nice to meet you I promise I will treat you like the queen you are soon to be." "No thats okay I dont want to be a queen nor do I want a scrawny thing like you as my future lover so I think im okay now if you will excuse me." "Reina you will marry her or never see the outside of the castle walls again." "Trsut me I will mange somehow and like I said before no." I swear this family isnt normal who wants their child to be married at the age of 18. A/N : Hey people hope you liked the update thanks for reading ahh had anybody hear SNSD'S I got a boy? If you have its awesome right? hmm... i see nothing wrong to marry at age of 18... is there something wrong about it that is beyong my comprehension? for the forced marriage... i feel strange too... i really wanna know that reason why reina not wanting to marry gocchin? and why reina has to address her parents so formally.... are you going to tell me when eririn grow up, she also have to address their parents like how reina did. Page created in 0.436 seconds with 13 queries.